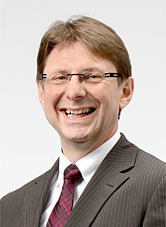 Andreas Schilpp, our expert regarding Wirelaid®, answers your technical questions. Please do not hesitate to ask Mr. Schilpp via email! How do you ensure that the wire is not damaged by the depth milling process? Through a precise z-axis controlled milling process. Approximately 0.05mm of material remains. This is a standard procedure. Comparable to the milled areas in semiflex technology. Can the "remaining material" flake off during bending? Somewhat, yes, that is correct. It is however usually non-critical and does not cause contamination. This has been tested. What is the dielectric strength of the resin that encapsulates the wires? This is important when I have an application operating at 230 volts. You can proceed with the usual dielectric properties of the insulation material / pre-pregs. The situation is comparable to a heavy copper PCB application. Does welding the copper wire to 18µm copper foil also work? Yes, with certain restrictions. When dealing with such a copper foil special wire sizes are utilised (500x100µm²). How often can one bend the PCB and what angle is possible? Two cycles. This means to bend into the desired form, back again and once again to the desired form, for repair etc. It is tested up to 135°, in principle up to 180° is possible (however due to the components not practicable). Does the PCB not bow due to the one-sided application of the wires? Not more than is permitted. This has been tested. It would be interesting to hear some information on the cost implications of this technology, e.g. what the percentage difference between a four layer standard multilayer compared to a 4 layer multilayer + Wirelaid would be? This is strongly influenced by the particular application. The general tendency is, however, to expect a significant reduction in costs though a reduction of base copper thickness and complete layers. Yet a general and serious answer to this question cannot be given in percentage terms. Is it guaranteed that the copper wire is electrically connected with the PCB trace over the entire length? The contact takes place at so called landing pads by means of reliable welds and therefore have an electrical connection. The placement of the welding points is verified directly during the welding process with the help of shear and deformation tests. Is it only possible to make straight connections, or can freely routed connections also be made? Freely routed connections are possible. The flat wires must be offset at a change of direction. Please see the design rules for the definition of this. How is contact made from the PCB trace to the wire (vias)? The wire is welded to a landing pad. This landing pad can then be connected as usual, using vias positioned outside of the welding point area. How does the cost of Wirelaid technology compare to standard technology? This is very dependent on the actual PCB layout itself. However, we intend to reach a lower system cost and even a lower PCB price compared to other solutions. One aim of Wirelaid technology is to reduce the amount of materials such as copper layers, core and pre-pregs in the stack-up with selective increased copper cross-sections. We gladly provide our customers with comparative quotations for their solutions. Is the price highly dependent on the numbers of wires in the design? Yes, that is clear. More wires means higher costs, because this is a serial welding process. It also does depend on the length of the wires - but not to a large extent. By reducing the layer count or copper thickness your system will have a lower price. Is this technology viable when the PCB is used in an environment with ambient temperature of 80°C? Yes, we have base materials suitable for use in environments up to 130°C and above. Can a PCB with Wirelaid be IPC class 3 PCB compliant? Yes, in the same way as other multilayer PCBs. Does the use of Wirelaid increase lead-time and is it producible in high volumes? During the first production the engineering time would increase by around 3 days. Wirelaid is suitable for series production and can be manufactured in a similar time-frame.